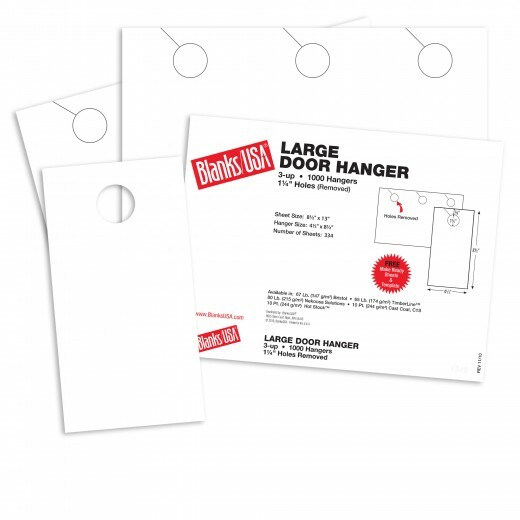 These are Large Door Hangers which require extra cutting to separate individual door hangers. 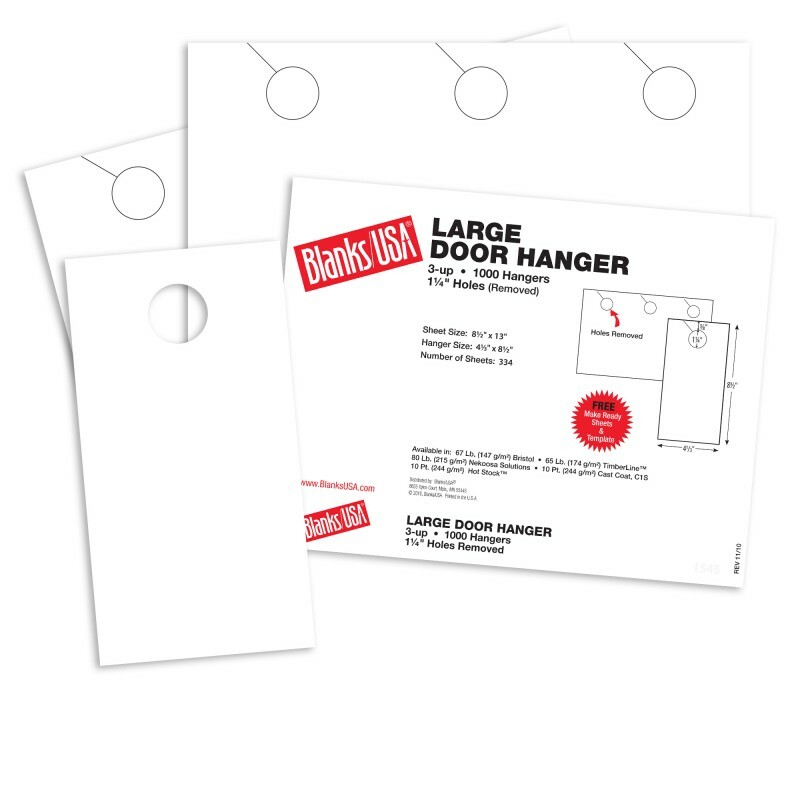 With Blanks USA Large door hangers you can make your ad campaign or any door hanger project easy, effective and efficient. Made on a quality 10 pt C/1S glossy cover stock this sheet is perfect for offset printing, laser printing, copiers and inkjet printing. Each finished door hanger is 4 1/3" x 8 1/2" with a 1 1/4" perforated knob hole at the top with a convenient knob hole slit for fast separation and ease of use. Each package has 334 sheets of 13 x 8 1/2" with 3 door hangers per sheet which must be cut apart by the customer for a total of 1002 Door Hangers per package.